The secret of overcoming your problems ! 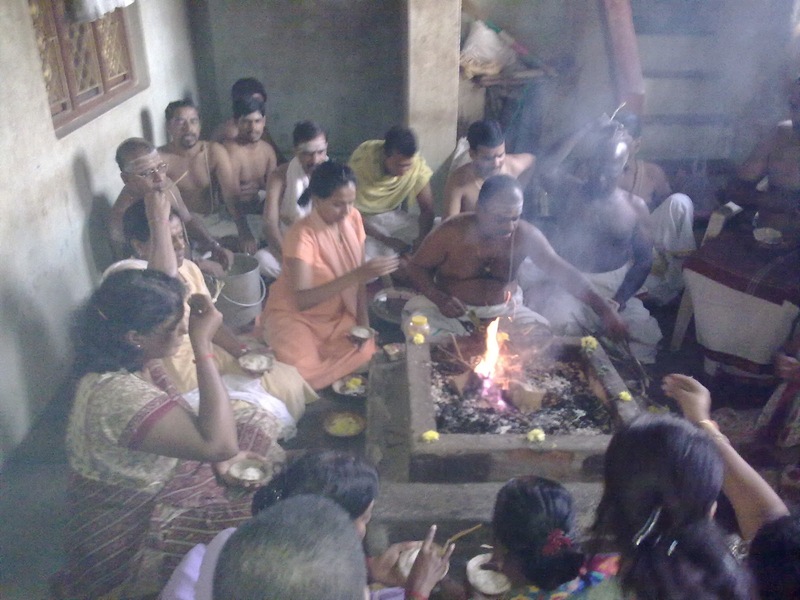 Mahalaya Paksha is considered the most auspicious time for departed ancestors ritual. Main reason for all of our problems besides bad karmas is the departed spirits of our ancestors. Our role is that we should constantly connect to the departed ancestors to live a peaceful and prosperous life. Only once in a year a great celebration takes place in the Pitru Lokam (departed ancestors world) and only for 2 weeks. 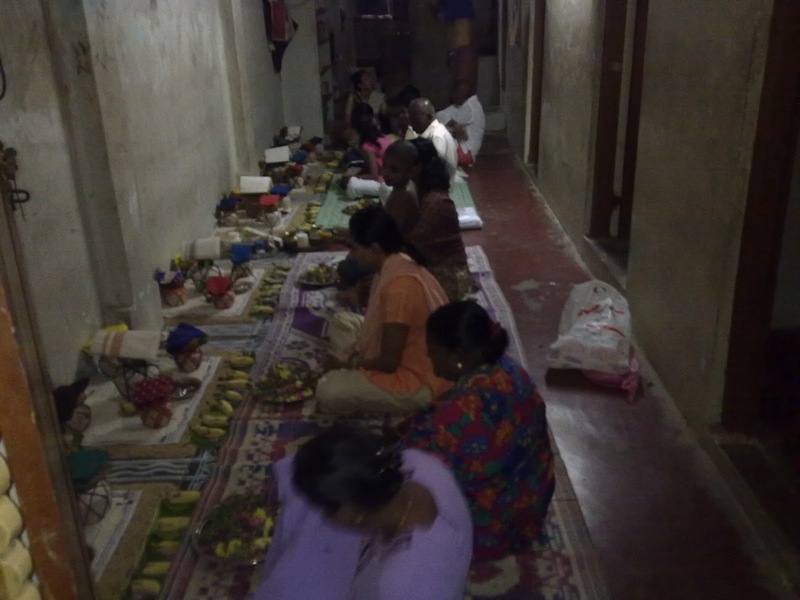 It is called the "Mahalaya Paksha" This year it commences on the 1st October 2012, right after the Full Moon day and ends on the Mahalaya New Moon day, which is 15th of October 2012. 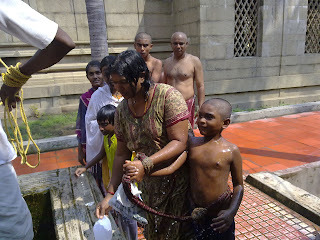 One of the most powerfull place to do this ancestral ritual is Rameshwaram during this time. I.K.S. Academy organizing a special trip for this year Mahalaya Paksha to do this ritual at Rameshwaram from 7th October 2012 to 17 October 2012. Those who are interested to join can call us now for further details. The Highlight of the Trip !!! We will be visiting Rameshwaram, the ultimate pilgrimage location for destiny-changing blessings and energy. 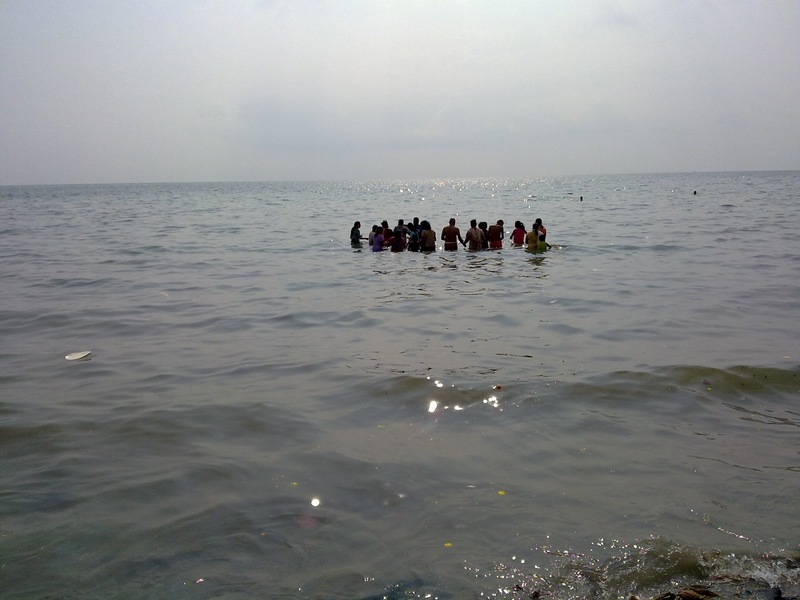 1) We will perform "Tarpanam" (ancestral ritual) and homam (fire ritual) led by group of 11 priests in an elaborate ritual at the shores of the Rameshwaram sea to help your departed ancestors be libetrated and extend all blessings to you. 2) We will take holy bath and immersion in the sea of Rameshwaram, which cleanses mind, body and soul with the energy of Lord Rama. 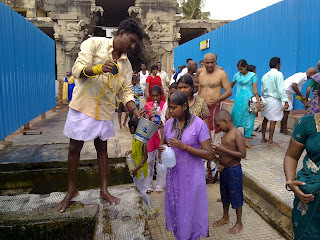 3) We will also be purified of the deepest karmas through being doused by the holy water of the 22 sin-dissolving wells of the Rameshwaram temple. In addition to the great Rameshwaram temple, we will also be visiting other powerfull temple like Kanyakumari, Madurai Meenakshi Amman, Chottani Bagavathi Amman temple, Padmanabaswamy temple, Sri Ranggam temple and many other temples while we are in Kerala and Tamilnadu. We are strictly planning to visit the temples at the right time, with the right destined people and do rituals with the right well trained priests. Those who are interested to join this powerful trip, send your birth details - date, time & place of birth to 013 350 5903 so that we can check whether you are destined to do the yatrai during 7 to 17 October with. Situated on an island off the Sethu coast of Rameswaram in Ramanathpuram district, Tamil Nadu, is an important pilgrimage site for the followers of Hinduism. 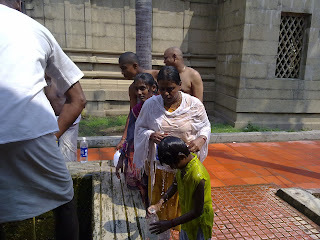 It is believed that a visit to this temple washes away one's sins and brings salvation (moksha). Being situated in Rameshwaram, the Ramanathaswamy Mandir is popularly known as the Rameshwaram Temple. The construction of this temple began in the 12th century; nonetheless it was completed much later, during the reign of various rulers. Rameshwaram Temple is famous for embracing one of the twelve Jyotirlingas (lingam of light) of Lord Shiva. The temple is also accredited for being the southern most 'jyotirlinga' of India. Rameswaram'(Tamil:ராமேஸ்வரம்) is a town in Ramanathapuram district in the Indian state of Tamil Nadu. It is located on an island separated from mainland India by the Pamban channel and is less than 40 kilometers from the Jaffna Peninsula, Sri Lanka. Together with Kashi, it is considered to be one of the holiest places in India to Hindus. Hence, it is a bustling pilgrim centre. It is situated in the Gulf of Mannar at the very tip of the Indian peninsula. According to legends, this is the place from where Lord Rama, built a bridge Ram Setu(also known as Adam's Bridge) across the sea to Lanka to rescue his consort Sita, from her abductor, Ravana. This is also the place where Rama worshipped Shiva to be absolved of the sin of killing Ravana, hence the name of Shiva, which became the name of the town - Rameswara ("lord of Rama"). Both the Vaishnavites and Shaivites visit this pilgrimage centre which is known as the Varanasi of the south.